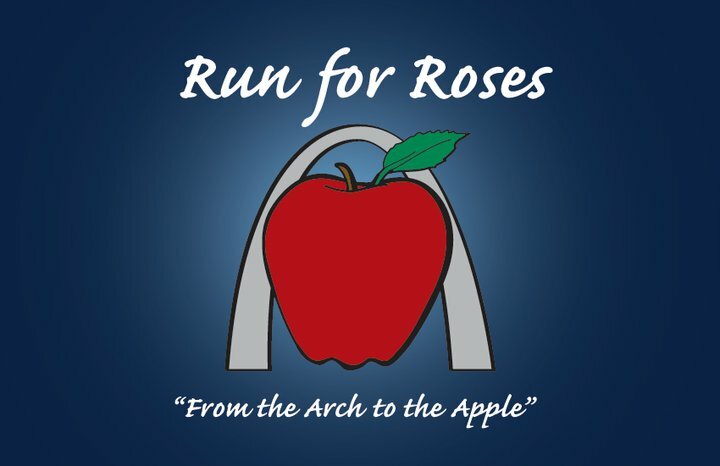 JOIN us today and walk or run with us as Team Run for Roses! 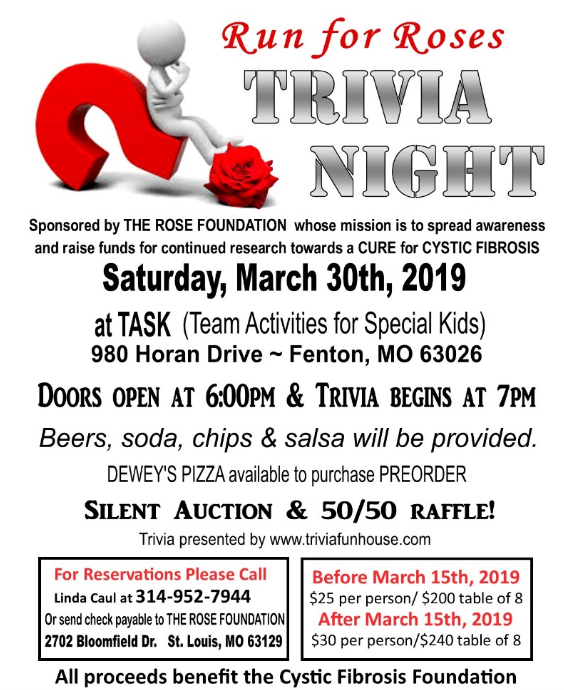 The Rose Foundation will be fielding a team to participate in all GO! 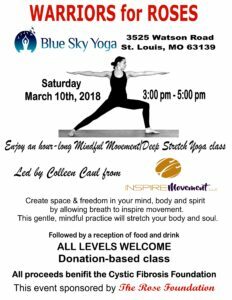 St. Louis events. enjoy a pasta party Friday night before GO! weekend! spread awareness every time you weat our shirt!!! 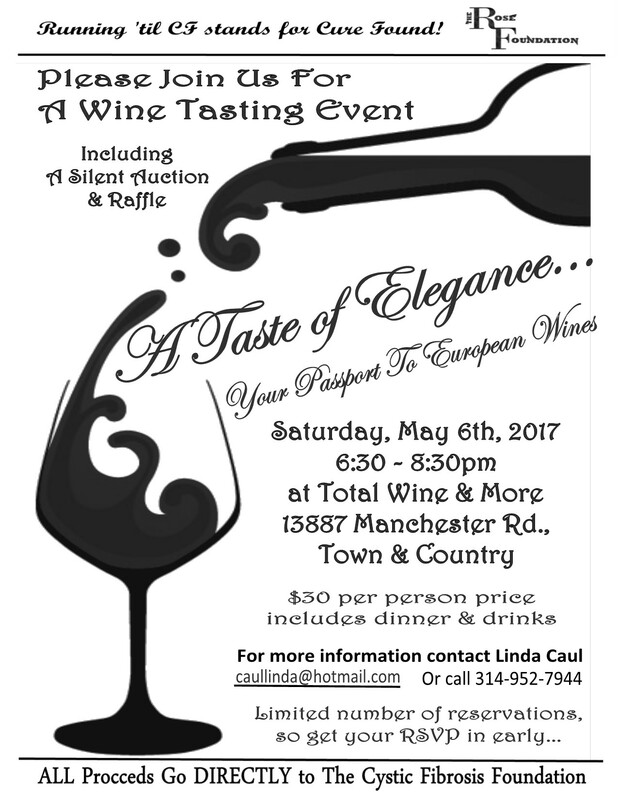 Silent auctions & Raffles too! 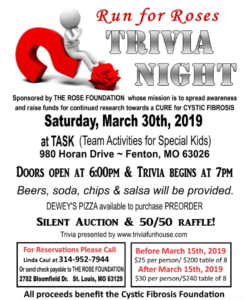 All of you who have donated to The Rose Foundation this year are invited to the CFF’s Great Strides Walk & BBQ as members of Team Run for Roses! Check-in begins at 9:30 a.m. Walk begins at 10:30 a.m. The walk is approximately 1.5 mile loop around the park. 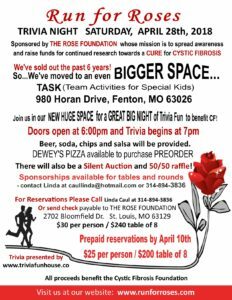 A wine/beer and paint night for CF! 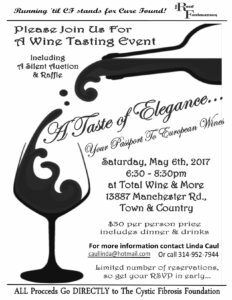 Call Linda at 952-7944 for info and reservations. 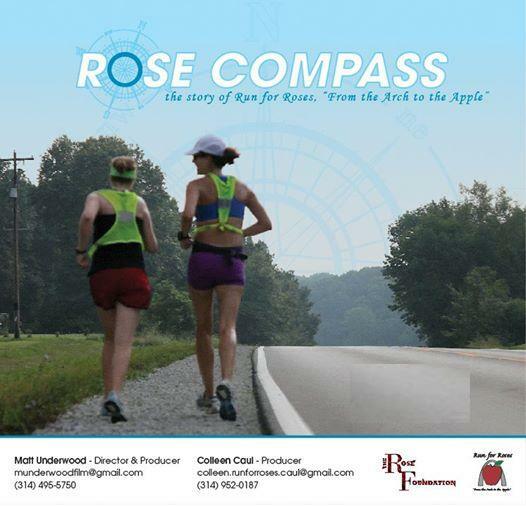 Sign Up to Receive Rose Foundation Email Updates! 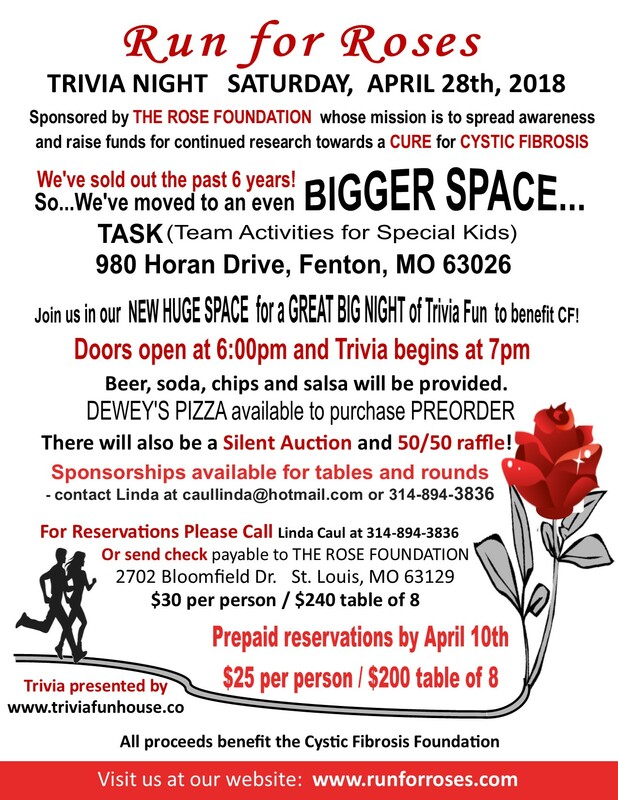 Running 'til CF stands for CURE FOUND!